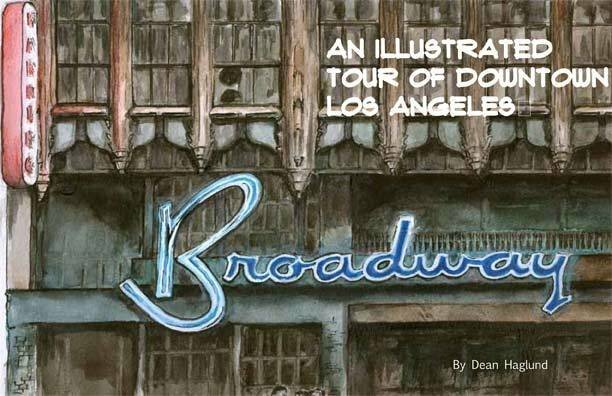 Dean Haglund’s renowned walking tour of DTLA has been transcribed in a book and has now been published, The Illustrated tour of Broadway in downtown Los Angeles. 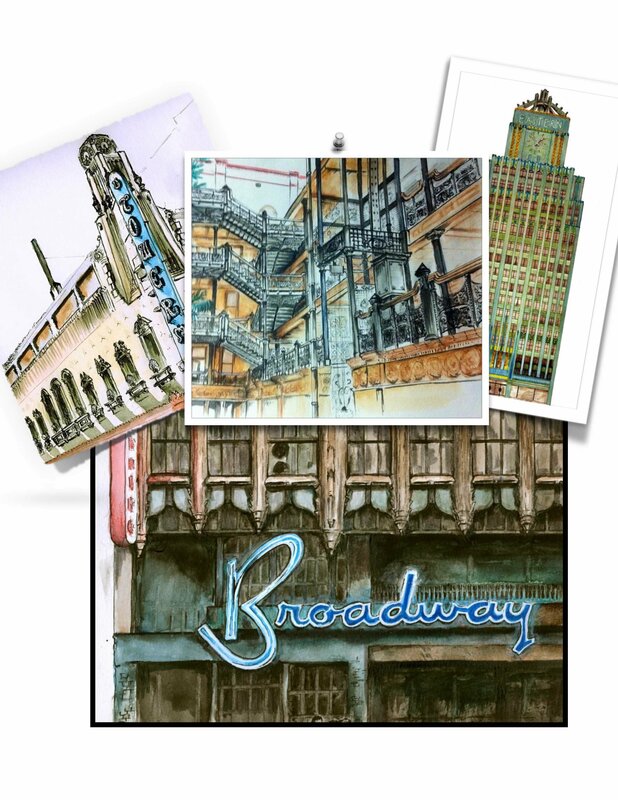 It is a collection of all the classic architectural wonders of downtown Broadway and all the illustrations are by the tour guide himself!!. 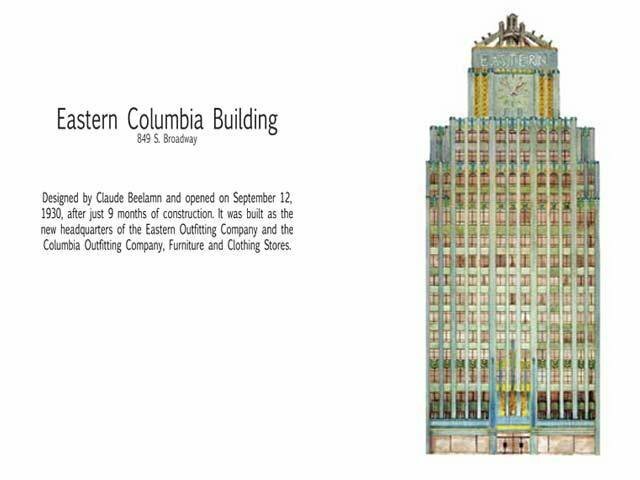 Al the classic buildings lovingly interpreted in various mediums. 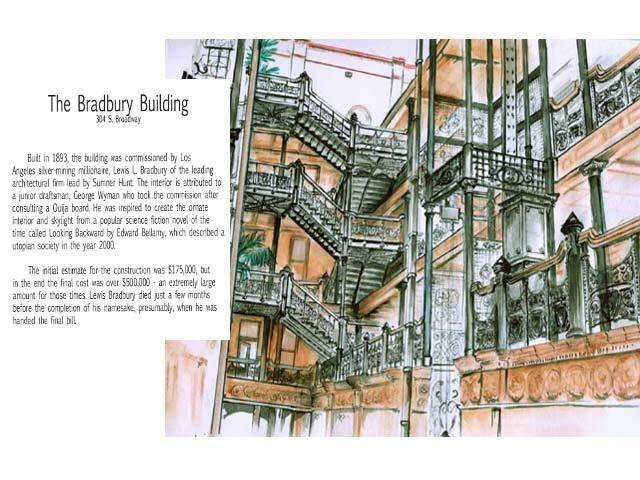 36 pages packed with art and info including all the great stories that Dean tells on his walking tour. 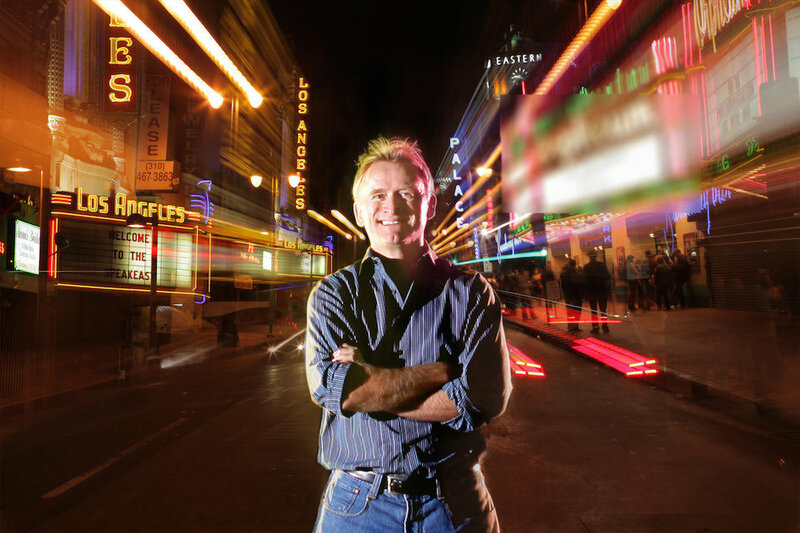 Dean’s book virtually walks you down Broadway and points out some of the many gems that are renowned in Los Angeles. Dean Haglund has been drawing and painting since he was he was seven, and has toured the would with a sketch pad in hand. 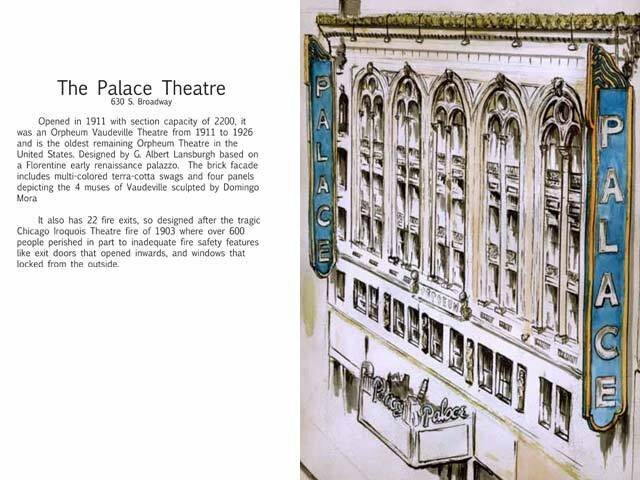 Arriving in Downtown in 2006 he began painting some of the great Theaters that still exist on Broadway.